To end this April PLUME VOYAGE invites you to the Riviera to discover the images of Slim Aarons, to the Loire Valley to immerse yourself in the Gardens of the Deadly Sins at the Domaine de Chaumont, to New York to discover the latest work by Jasper Johns and to London to marvel at the glamour of Italian fashion. Go on, it’s happening now! 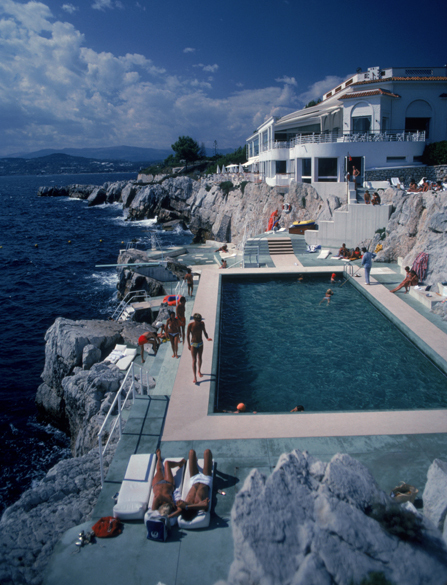 « Slim Aarons , Slim's Riviera » at the Cap-Eden-Roc , Antibes, and at the Chateau Saint-Martin, Vence. Getty Images Gallery, in London, is presenting a selection of images by the American photographer Slim Aarons for his latest exhibition. Representing the luxury and frivolity of a generation who frequented the Côte d’Azur between 1957 and 1975, these images depict an entire era. Full of light and charm, the photos – presented at the Cap-Eden-Roc in Antibes and at the Château Saint-Martin & Spa in Vence – all tell stories of a quiet way of life and a delicately quaint atmosphere. From 8 May to 15 October. 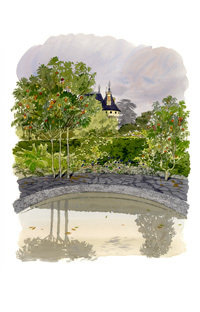 The « Gardens of the Deadly Sins » at the Domaine de Chaumont, Chaumont-sur-Loire. For its 23rd edition, the International Garden Festival held in Chaumont-sur-Loire will embody the heady expression of the deadly sins. It is a festival of extravagance and self-restraint and a shining example of the duality of impulses and characters. Indeed, what do gluttony and pride mean when we speak of gardens? Laziness and lust? Wrath and envy? Heady fragrances, daring plants, diverse and varied excesses, the upsides and downsides of these past and present venial or major “sins” have been subtly evoked and have given wings to the imaginations of the designers. In addition, several guests have received a “green card ” such as Betty Bui, Marc Nucera, Jean -Philippe Poirée-Ville and even Camille Muller and Fumiaki Takano. « Jasper Johns: Regrets » at the MoMA, New York. The exhibition that the MoMA has dedicated to the leader of American art since the 1950s is dedicated to his most recent production, paintings, drawings and prints.
. It is in June 2012 that Jasper Johns discovered a photo of a painting by Lucian Freud in an auction catalogue. Inspired not only by the photographic image, but also by the physical qualities of the object itself, Johns reworked this motif through several multi-media permutations. 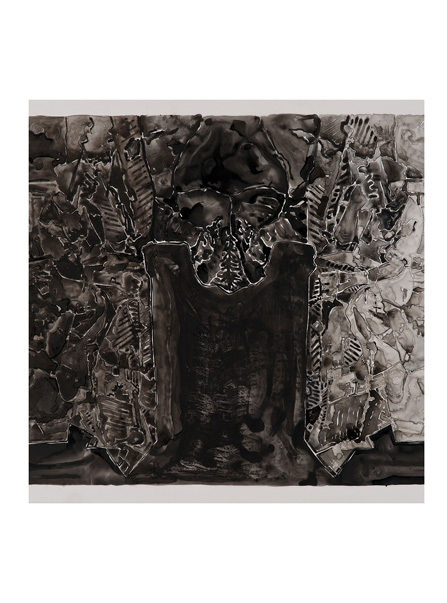 Using a complex combination of techniques, he created a series entitled “Regrets” by exploring the constant interaction of materials, their representation and their individual signification. « Joséphine » at the Musée du Luxembourg, Paris. 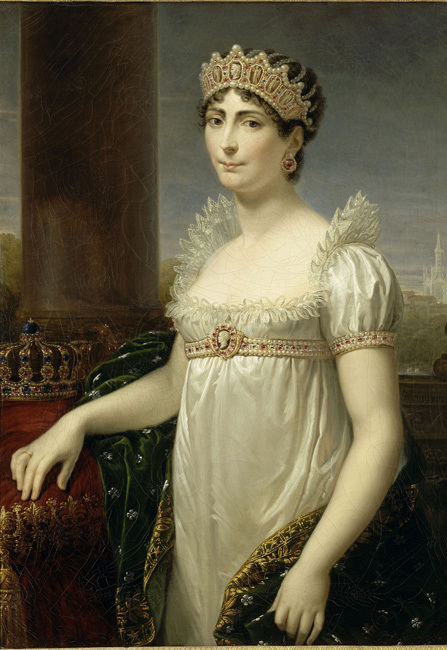 On the occasion of the bicentenary of the death of the Empress Josephine, this exhibition renews the image of one of the women who most influenced the history of France. Fully embedded in her time, she still embodies an extraordinary destiny in a society undergoing great change. Thanks to some exceptional loans, the exhibition evokes, in addition to her life, all areas in which Josephine has left her mark. Starting with the decorative arts, by showing off her luxurious furnishings and her table. Also fashion, through the elegance and richness of her clothes and jewelry. And the art of portraiture, through emblematic pieces of work such as the great portraits of her by Prud’hon and Gros. « The Glamour of Italian Fashion » at the Victoria & Albert Museum, London. This exhibition takes a comprehensive look at the glamour of Italian fashion from the end of the Second World War to the present day. History explored through people and the organizations that have contributed to its reputation for quality and style. Nearly a hundred ensembles and accessories from the major houses (Pucci, Valentino, Gucci, Missoni, Giorgio Armani, Dolce & Gabbana, Fendi, Prada…) take a look back at this rich history and present the next generation of talent . 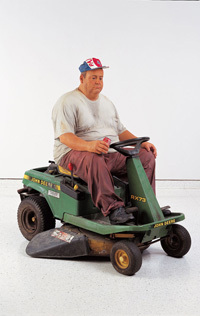 « Duane Hanson, sculptures of the American dream » at the Musée d’Ixelles. Hypnotized by the early human form and the multitude of its attitudes, Duane Hanson made carvings in wood, bronze and polyester. 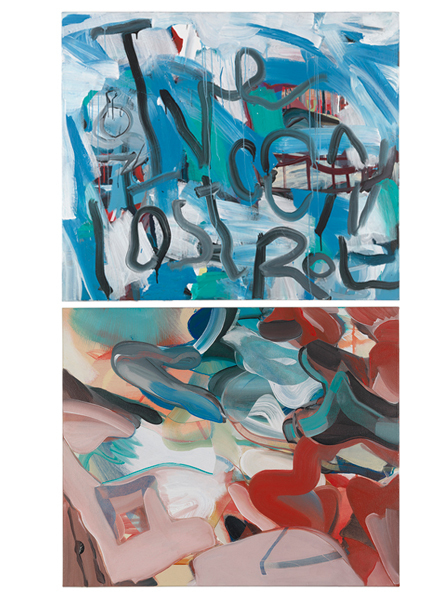 Although he tried to focus on abstraction, he found it difficult to deviate from figuration. Pop Art allowed him to choose realism as a mode of expression. Between 1965 and 1996, he produced more than 140 sculptures of men and women, represented with a high degree of realism, but also a touch of illusion in the process. Duane Hanson explored the fragility of human nature over the course of his work, which impress with the sheer force of their resemblance to real living beings, their hyperrealism. A reflection on the human condition of modern man, isolated, lost, plagued by loneliness and alienation. « Découvrez les Baga » at the Barbier-Mueller Museum, Geneva. 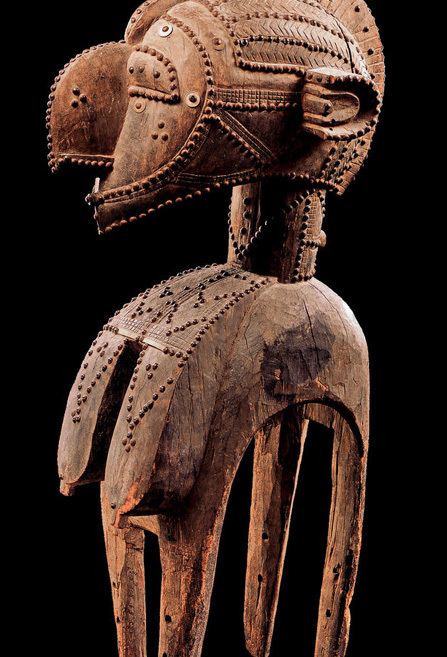 Displayed for the first time, the Barbier-Mueller collection of Baga masks, statuettes, drums and seats from Guinea, the most important one in private hands, is being put exhibited. From Europe to the United States, the Baga artefacts have fascinated artists for generations (Picasso, Giacometti, Moore), who recognized in their formal, monumental and geometrical features the quintessence of beauty. If we know little of the ritual practices and religious representations that gave meaning to these works, the exhibition shows that coastal shipping companies of Guinea remain to this day, the heirs of their ancient religious culture, with or without object. 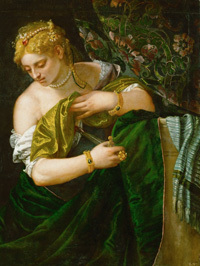 « Veronese : Magnificence in Renaissance Venice » at the National Gallery, London. A serious event, this exhibition presents fifty works by the great Italian master and just as many loans. Veronese (1528-1588), who everyone recognizes as the great master of color who was even responsible for inventing new hues, was one of the greatest painters of the Venetian Renaissance. Celebrated during his lifetime, his posthumous reputation has made him an inspiration to many celebrated painters, such as Van Dyck, Rubens, Watteau and Delacroix. «Valérie Belin, Still Life» at the Galerie Nathalie Obadia, Brussels. For her second solo exhibition, Valérie Belin presents a set of unpublished photographs. The exhibition focuses on her work from the Still Life series where the artist reveals a lavish and dreamlike “collection”. 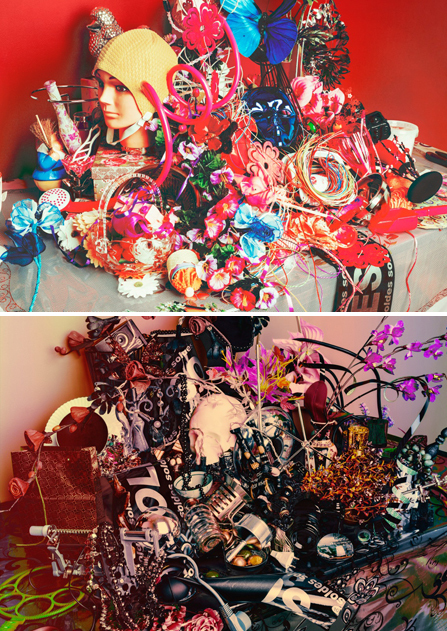 Her new still lifes dialogue with the Intérieurs series. The almost obsessive accumulation of objects is the culmination that links these series together. Here, the artist creates real compositions and takes us on a journey through the intimacy of an expression of what we see, perceive and feel. 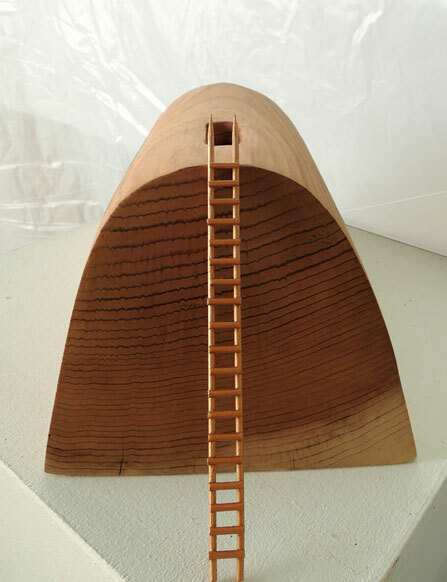 Through her photographs, the artist continues to explore the possible representations of the object. From April 22 to June 21. « Les Gobelins au siècle des Lumières » at the Galerie des Gobelins, Paris. 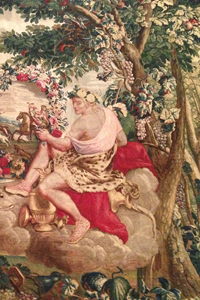 The exhibition presents a selection of the best tapestries woven at the Gobelins in the eighteenth century, accompanied by the painted furniture collections of the Mobilier national. Alongside the traditional religious models, the manufacturing of the Gobelins, under the direction of Charles Le Brun, has undergone an extraordinary revival since the mid-seventeenth century. The subject of epic history is maintained, while other less edifying series appear, destined for royal apartments. This course is detailed via 25 tapestries, their original designs and models, as well as drawings and prints. «Edy Ferguson, Coke Tragedy» at the Galerie Cortex Athletico, Paris. For her first solo exhibition, the American artist Edy Ferguson presents a body of paintings and drawings made between 2008 and 2014. Coke Tragedy is a visual diary where popular icons of pop punk culture (such as Amy Winehouse and Ian Curtis) sit alongside literary and media figures. The dialogue that Edy Ferguson creates with her art is not far from that of figures like Calder, Basquiat, de Kooning, Matisse and Picasso. In these spaces, she inserts dramas that pass through her world, like characters in a play. 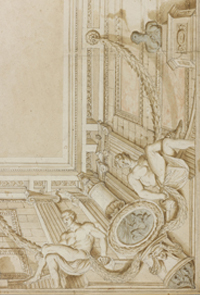 «Sky Under the Roof, Drawings for Parisian Ceilings in the Grand Siècle» at the Louvre, Paris. Ceiling decoration underwent a profound transformation in the 17th century. The shift from flat ceilings to vaulted ones inspired artists to develop innovative treatments that played with compartmentalizing space, alternating layers of illusion, and organizing narrative, ornamental and emblematic registers. Through 80 drawings and prints from the museum’s holdings and several Parisian collections, the exhibition presents the formal evolution of civil decoration in the French capital over the course of the century, and takes a look at four major undertakings: the Hôtel Lambert, the Mazarin palace, and the Louvre and Tuileries palaces under Louis XIV. « Du ménage à l’art » at the Viaduc des Arts, Paris. 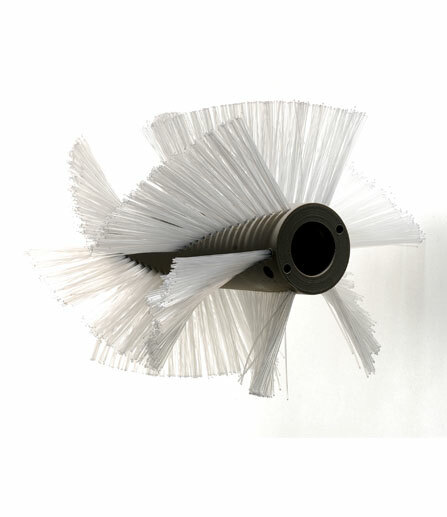 that of brushes and brush makers.Cleaning brushes, toilet brushes, brushes for industrial use, painting and more…these familiar objects, although almost invisible, are ubiquitous in our daily lives. From their materials and their manufacturing process to their uses and games, this quirky exhibition raises awareness of their common uses. From 9 to 20 April. « Beyond the next day » at the Quadrennial, Düsseldorf. 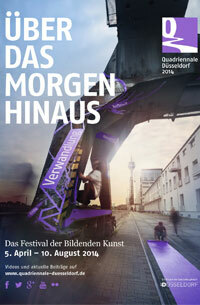 To mark the occasion of the third edition of its biggest visual arts festival, entitled the Über Das Morgen Hinaus (Beyond the next day), Düsseldorf invites the public to experience a novel approach to the future. Throughout the event, thirteen major cultural venues in the city – museums, art galleries and partner institutes – present exhibitions on this theme and ask visitors to ponder this idea: how do the of artists today see the future? How their predecessors once imagined it? What role do the materials they have used play? It’s an opportunity to realize how it can be exciting to think about the world of tomorrow and measure the progress made throughout cultural history. From 5 April to 10 August. « Le Secret » at the Château du Rivau, Lémeré. Recognized by the World Heritage of Unesco, the Château de Rivau is welcoming an exhibition that ignites a dialogue between the old art collections housed in the castle and contemporary art between its medieval walls and fairy tale gardens. State secrets, alcoves, messages and secret societies, the secrets of Punchinello…artists such as Wim Delvoye and Joan Fontcuberta distill the secret in all its forms. “The Secret” welcomes all mediums used by today’s artists with many pieces designed especially for event: photographs, installations, sculptures, video, and textile art. 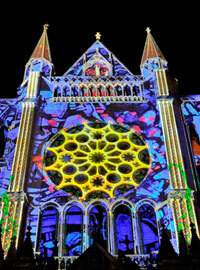 For its 11th edition, Chartres en Lumières illuminates the 29 major sites of its cultural and architectural heritage. From the edges of the Eure to the fantastic scenery of the twelfth century Cathedral, the 2014 edition of the show features new scenes which highlight the old washhouses and the art of the master glassmakers of the Middle Ages. At the same time, the “Chartres Video Mapping Contest” will discover new talents of mapping, a multimedia technology for projecting shapes and images onto walls with an international competition. The three best projects will be screened during the Fête de la Lumière, on September 20th. From 12 April to 12 October.